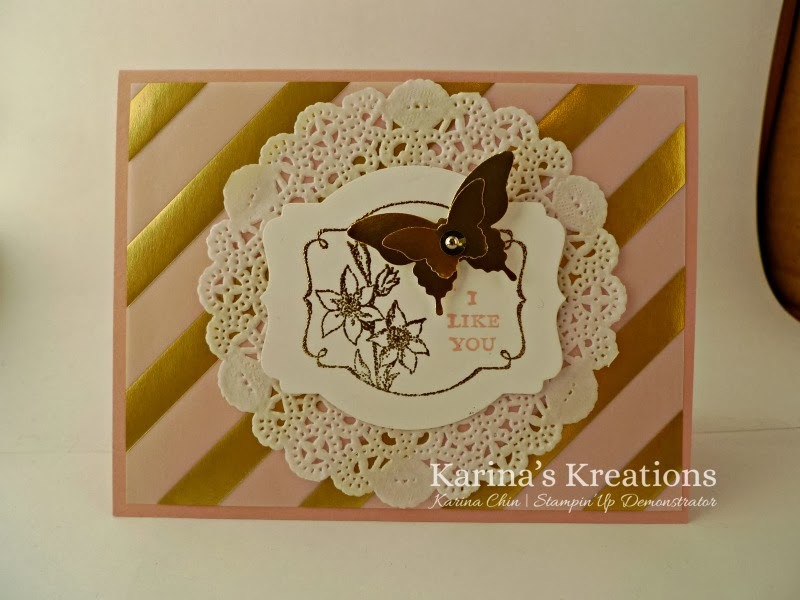 Karina's Kreations: You're Lovely Gold Foil Card! You're Lovely Gold Foil Card! Gold is a huge Trend right now! Stampin'Up has this beautiful Gold Fancy Foil Designer Vellum. This beautiful card was demonstrated at leadership by Brandi Barnard. I cased the card and changed the stamp set but it's basically the same card. I demonstrated how to make it at our Creative Day Escape this weekend. I also made a video for you showing how to recreate this card and how to use the stamp-a-ma-jig. I hope you like my tips!